Every gift, be it in cash or in kind, will help in caring for the frail and sick who are in the Home. Your support makes a difference to their lives. Singapore Christian Home is an institution of a Public Character (IPC). From 01 Jan 2016 to 31 Dec 2018, your donation is eligible for tax deduction of 2.5 times. 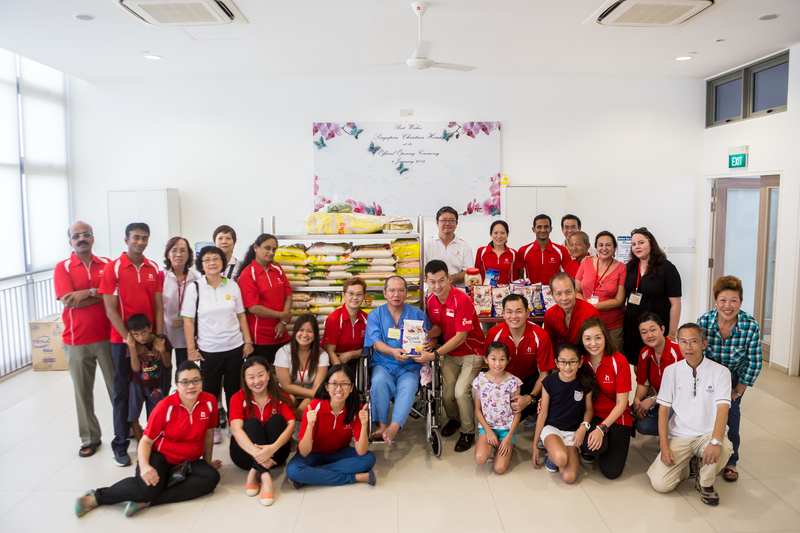 As Singapore Christian Home is also eligible for 1 to 1 dollar matching from the government, your donation would stretch further and enable us to provide better services for our residents. By post, kindly click here for the donation form and send it with a crossed cheque payable to Singapore Christian Home. For your convenience, you can make online donation by credit card or eNets payment via Giving.sg portal. You may sign up as our monthly donor by participating in the GIRO Programme. You may choose to contribute any amount and it will be deducted from your bank account on a monthly basis. * Singapore Christian Home is an Institution of a Public Character ( IPC ). All outright cash donations are eligible for tax deduction. By providing us with your NRIC/FIN/Company UEN number, data provided will be submitted to IRAS for tax deduction purpose and the donation will be automatically included in your tax assessment. Donations of essential items used daily by our residents are greatly appreciated. Please contact us at 6831 5161 to enquire on the above items or other items you would like to donate.